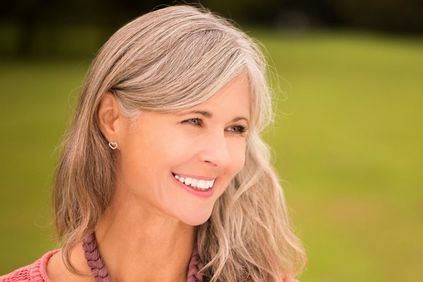 Before Dr. Chhatre performs neck lift treatments, he prepares his patients with the knowledge that they need to recover as quickly and safely as possible, both in the office and at home. Patients can expect to miss one or two weeks of work and other activities, to allow time for proper healing and full recovery. Dr. Chhatre will provide full instructions for neck lift recovery to each patient at our Kansas City, MO, practice. Carefully following the doctor’s instructions will help ensure a speedy full recovery without complications. Following surgery, the doctor may cover the incision with a bandage, and place a tube to drain excess fluids from under the skin. He will provide instructions for caring for the wound and the drain tube before the patient leaves. Patients may experience grogginess and nausea following surgery, for which the doctor can provide anti-nausea medication. Patients will need to get plenty of rest, and sleep with their head elevated above their heart to minimize swelling. Patients will need to avoid twisting or bending the neck. For the first three days, patients should use ice packs in a 15 minutes-on, 15 minutes-off rotation, to help reduce swelling. Ice packs should not be placed directly on the skin, as this may result in dryness due to a lack of blood flow. Dr. Chhatre will provide you with all the information you need to recover as quickly and safely as possible. Patients can expect to spend the first few days following surgery primarily in bed. The doctor will provide a pain medication prescription, and patients should wear loose-fitting, button-down shirts, as pulling a shirt or other clothing over the head may disrupt healing. After a few days, Dr. Chhatre will remove bandages and the drain tube. Patients can then take a shower, using cool water, and practicing very gentle care when washing the face and hair. Makeup should not be worn for at least the first five days after surgery. The doctor may recommend applying a hydrocortisone cream to the face to promote healing. Bruises should fade after about two weeks, and patients can use a cream-based concealer to cover them up after the first week of recovery. Avoid exposing the surgery site to direct sunlight for at least six weeks, and apply minimum SPF 15 sunscreen to the area if you plan to spend time in the sun. Aspirin and any products containing it should be avoided for at least a week, as aspirin thins the blood and can disrupt the healing process. Patients should not smoke for at least two weeks following surgery. Smoking restricts blood flow, which can inhibit healing. For the first few weeks, even after returning to work, patients will need to avoid heavy lifting and sports, including working out at the gym. After about six weeks, the surgery site should have healed enough to resume most normal activities. To learn more about neck lift surgery, candidacy, and the recovery process involved, contact our office today. You can rest assured that Dr. Chhatre will provide you with all the information you need to recover as quickly and safely as possible.